Most of us, at some point, have received a medical prescription from our doctors or a hospital. In the vast majority of cases, there are no problems. However, sometimes mistakes are made with prescriptions which can cause problems. If you have had a bad experience as a result of a medical prescription, you may be able to make a personal injury claim. All drugs and medicines are designed to do different things to our bodies. Consequently, there are any number of different symptoms arising from taking either a wrong dosage or an incorrect type of drug. Even a drug prescribed over an incorrect period of time can result in health problems. Allergic reactions, brain damage and sometimes even death can occur in serious cases. Medical professionals need to be especially careful when prescribing medicines to children. This is because they are more physically vulnerable than most adults. In particular, the age and weight of a child should be considered. You should always check the instructions on the back of the packaging before you take your medicine or drugs. You should also make sure that what you have been given from a dispensary matches what is written on the prescription by the medical professional. A patient might be given a prescription of the wrong dosage, either when the prescription is first given or medication is dispensed. If the wrong type of a drug or medicine is prescribed, this can sometimes cause an allergic reaction. Reactions to some drugs can be serious. If an individual takes a combination of medicines at the same time, this can also cause harm. Precautions should be taken to ensure this does not happen. For many years, our team at First Personal Injury have dealt with a range of different clinical negligence claims. These include cases that have arisen because of a mistake with prescription medicine or drugs. It is important to remember that in most cases you will have three years in which to start a claim. This time period usually starts from the date you first had knowledge that the error caused you harm or illness. If you suspect that you may have become ill as a result of a mistake with a prescription, you should take action as soon as possible. A personal injury lawyer can advise how to proceed if you wish to make a claim. If you would like to find out more about making a personal injury claim related to clinical negligence, have a look at our FAQ section or complete an online claim form detailing your circumstances and a member of our team will be in touch. 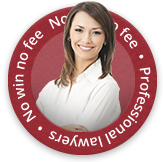 Alternatively, call us on 0800 808 9740 to speak to one of our no win, no fee solicitors.